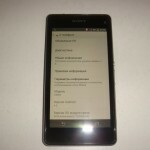 More and more Xperia Z1S images are allegedly leaking daily and from the same source all the time i.e. 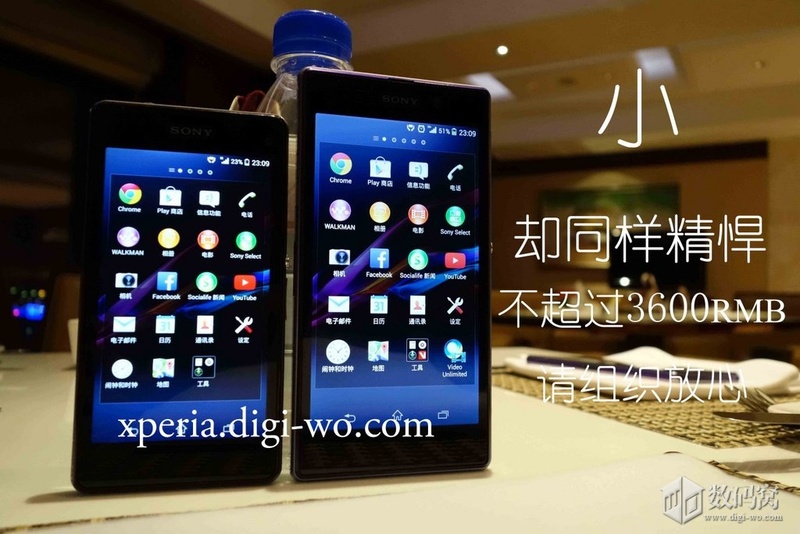 Digi-Wo, this time the same Digi-Wo user who previously leaked picture of Xperia Z1S on top of Xperia Z1 and speculated that it may not be called as Xperia Z1S has again leaked 3 set of Xperia Z1S pics two of them are along with Xperia Z1 sharing the same surrounding as it was in previously leaked pics. 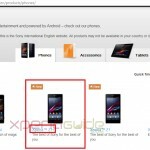 In the first set of pic you can clearly see the Xperia Z1S calling app’s dialing pad interface, which is expected to run android 4.3 jelly bean as seen in previous leaked pic where model Sony D5503 ( rumored to be Xperia Z1S ) featured android 4.3 14.2.A.0.205 firmware. 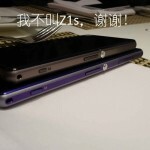 In other two pics Xperia Z1S is seen with Xperia Z1 ( purple and white in color ). In one pic you can see Xperia Z1 standing beside Xperia Z1S where you can compare the size of both phones. 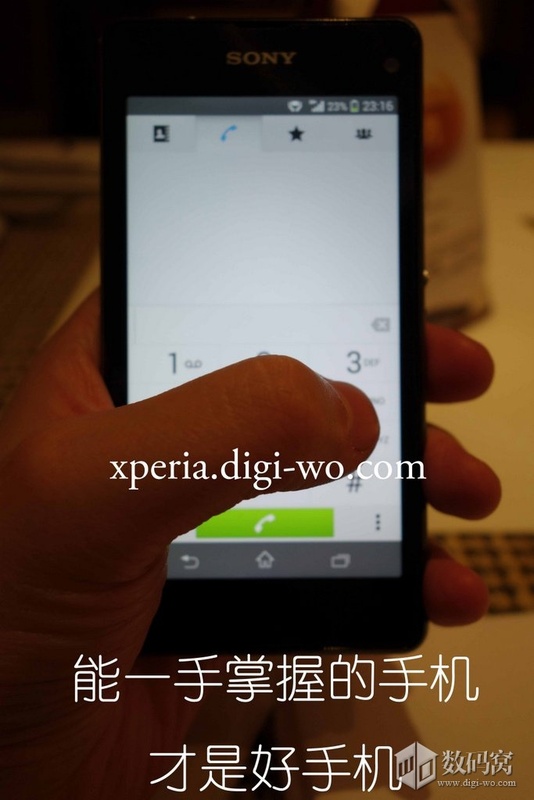 An interesting annotation on pic reads that Xperia Z1S may be priced at 3600 Yuan which is approx. equal to 590$ and may be available in first quarter of year 2014. 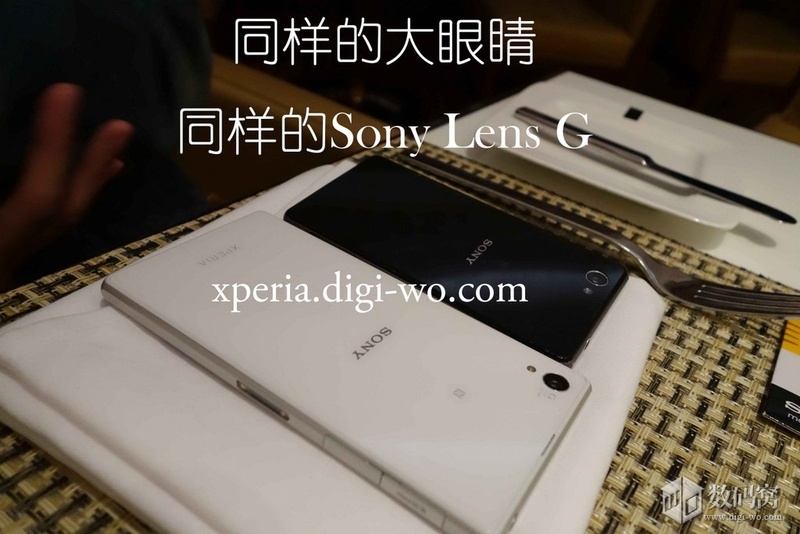 In the third pic, Xperia Z1S is seen with white Xperia Z1 and annotation on pic reads that it will also feature the same Sony’s G Lens as Xperia Z1 supports. 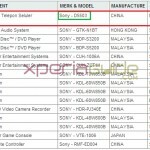 Yesterday Sony D5503 was spotted at Indonesian Postel website, confirming the model number and its existence. A lot many rumors have piled up now over the features of Xperia Z1S from Digi-Wo tipsters where one states that Xperia Z1S may feature IPS Display and one stated that it may not be called as Xperia Z1S. 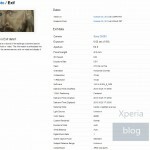 God knows how many we will see more now, well let’s hope soon Xperia Z1S ( hopefully this is the name ) marks its global international release and Sony get’s its first mini phone globally ( as Xperia Z1F is limited to Japan only ). 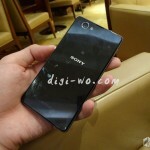 What do you think guys over the rumored price range of Xperia Z1S. 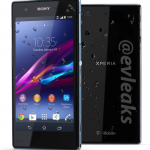 T-Mobile USA Xperia Z1s Pic and Specs Leaks – Is it Xperia Z1 Mini ? 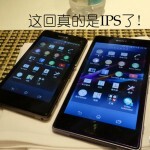 Xperia Z1S Amami display compared to Xperia Z1’s – To use IPS Display ?